The absolute truth is this: hidden within you is a natural ability to get into this flow and experience a life abundant in joy, satisfaction and fulfillment. You were born with it, and…. and completely transform your life. PLUS, you’ll receive HUNDREDS OF DOLLARS worth of ADDITIONAL BONUS GIFTS! Deep within your soul is a longing and a desire to experience direct communication with Spirit. In Awaken Your Divine Intuition, Susan Shumsky takes you through a proven step-by-step process that empowers you to explore your natural birthright—the ability to bask in divine light and receive blessings from Spirit. Through practical steps that feel easy and natural, Susan Shumsky shows you how to receive clear, precise inner guidance—so your life can be led by Spirit during every moment of your journey. listen to your "still, small voice" within. You’ll learn to discern if what you’re hearing and feeling is the real divine voice, or merely wishful thinking coming from your ego. Receiving healing and inspiration from within will become second nature to you. You’ll see how easy it can be to come into alignment with who you really are and discover the true nature of your being. The most enlightening benefit you’ll receive from Awaken Your Divine Intuition is a powerful CERTAINTY that your inner guidance is real, and you can make decisions with peaceful confidence. sense of knowing will become crystal clear to you. This is when your life will truly transform! 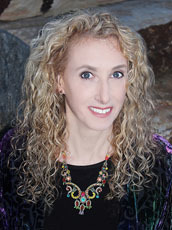 Susan Shumsky will lead you through this awakening with proven techniques she’s mastered during her nearly 50 years of spiritual teaching. …She shows you exactly how to tap into it, test it—and trust it. You’ll discover that your life takes on completely new meaning when you’re guided by your true inner wisdom, instead of by your ego or the opinions of others. Your life will become magical and abundant with serendipity. right time in ways you never imagined. and this will bring you ULTIMATE FREEDOM. “Everything you need to know about taking on the vibration of the most high is here. when you order Awaken Your Divine Intuition. Susan Shumsky, DD, has dedicated her life to helping people take command of their lives in highly effective, powerful, positive ways. She is the award-winning author of 13 books, published by Simon & Schuster, Random House Penguin, and New Page. A pioneer in the human potential field and highly respected spiritual teacher for nearly 50 years, she is the founder of Divine Revelation®—a unique field-proven technology for contacting the divine presence, hearing and testing the inner voice, and receiving clear divine guidance. For 22 years, her mentor was Maharishi Mahesh Yogi, guru of the Beatles and of Deepak Chopra. She served on Maharishi's personal staff for seven years.